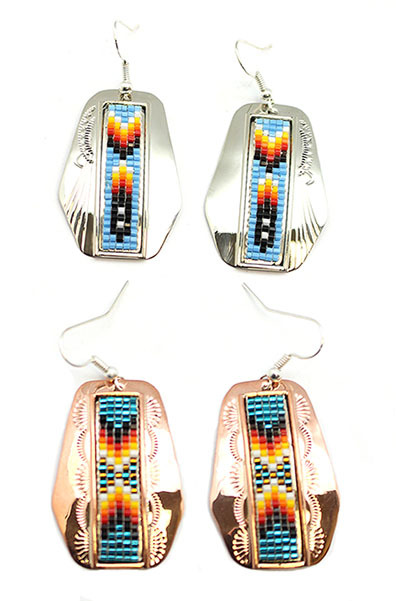 This copper 5 row beaded earring with a plain border has a odd shape with stamping on the sides. It measures a little over 2" long with silver plated french wire and 1" wide at widest point. Beaded on nickle silver or copper. Native handcrafted by Navajo artist Geraldrita Whitethorne. Stamping and beadwork design will vary. Choose metal when ordering.